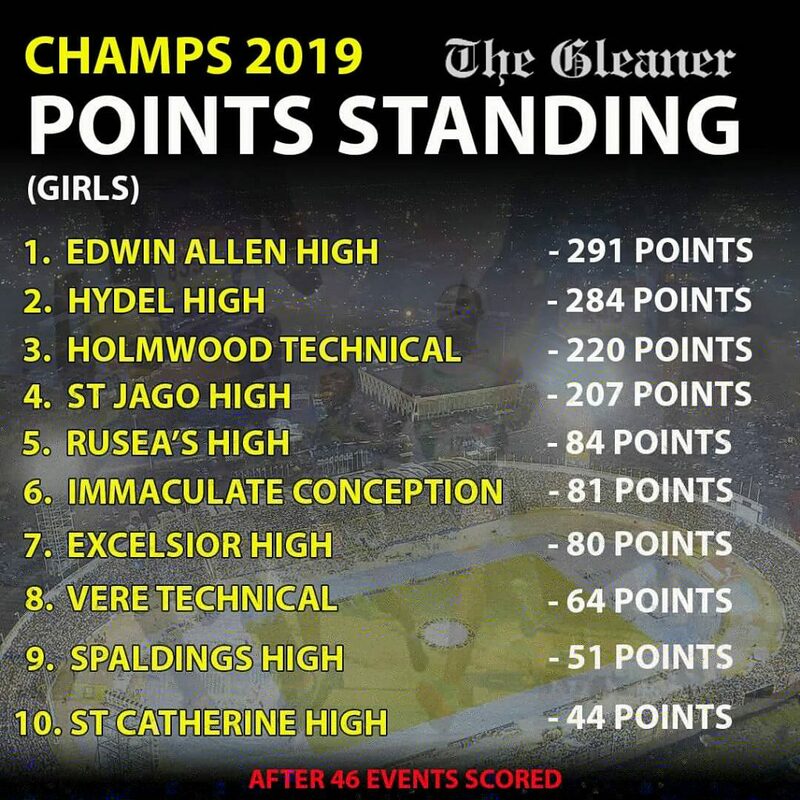 After 5 days of pure excitement, CHAMPS 2019 has wrapped up and the champions are Kingston College and Edwin Allen High! 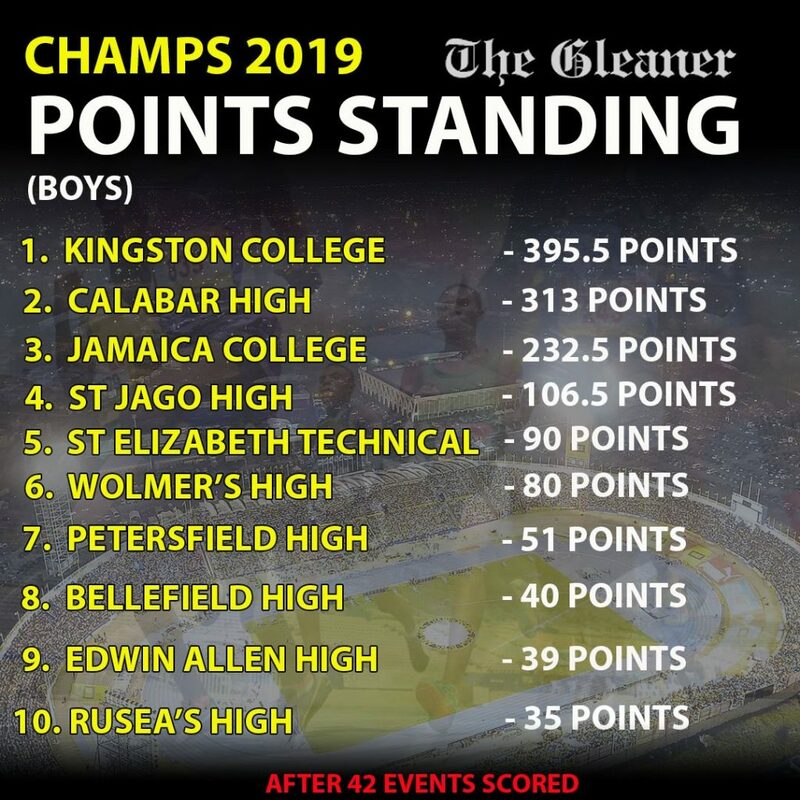 Here’s the official points standings from the ISSA/GraceKennedy Boys and Girls Championships at the National Stadium and find below links to CHAMPS in the news. Hear from the students: Champs Fever 2019 | What Has Been Your Favourite Champs Experience?